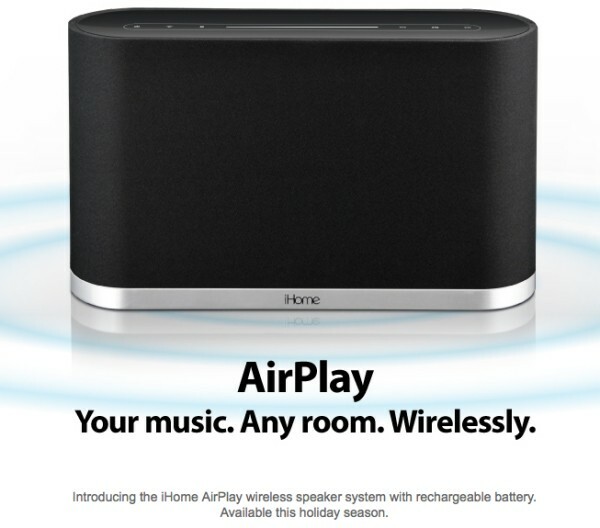 Here is a teaser from iHome about integration of Apple‘s new AirPlay in their hardware. Not much details beside what can be read in the picture. Expect a wireless sound system with rechargeable battery to listen to your music anywhere in the house/car/cottage… you get the idea.